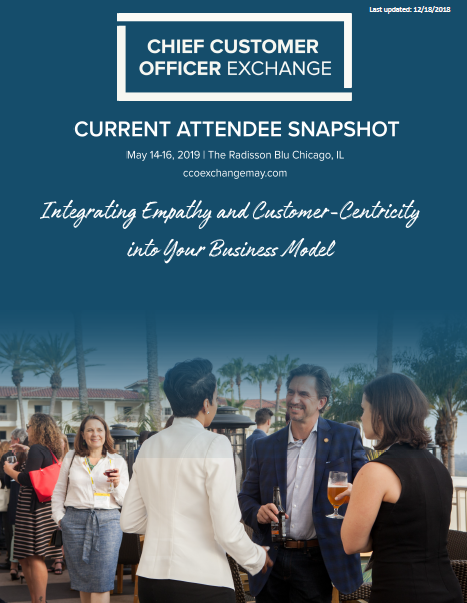 There is no other event that offers the exclusivity of the Chief Customer Officer Exchange. We handselect our attendees to create an intimate networking experienece. By the end of your time at the Exchange, feel confident that you will know everyone onsite. Take a look of the attendees who are confirmed and if you need an agenda, let us know!